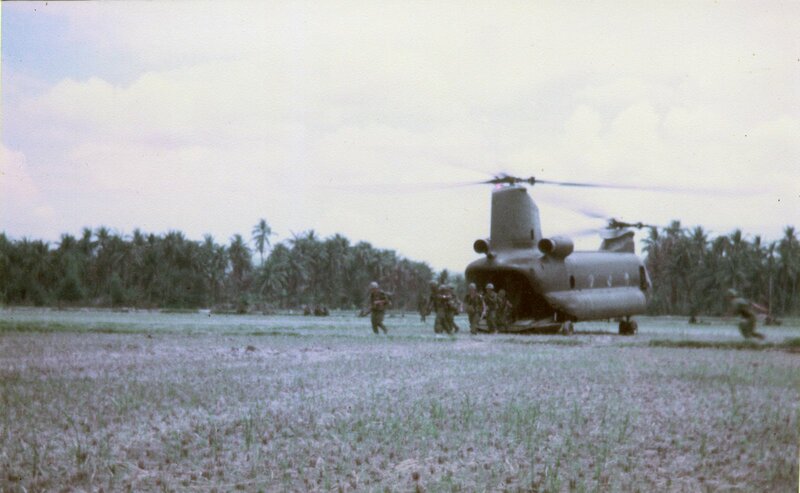 During the late summer, Bravo Company conducted search and destroy operations in the Bong Son Plain and the An Lo Valley. 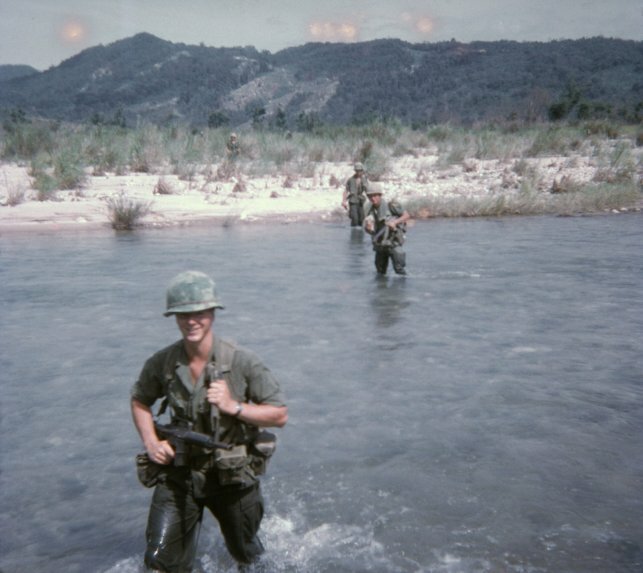 We had no contact with NVA forces and only sporadic contact with small groups of VC. In mid-September our battalion was alerted to deploy south to Tuy Hoa to reinforce the 173rd Airborne Brigade, and participate in “Operation Bolling”. The US Air Force had a large base at Tuy Hoa, home of the 31st Tactical Fighter Wing that provided air support in the northern provinces of Vietnam. 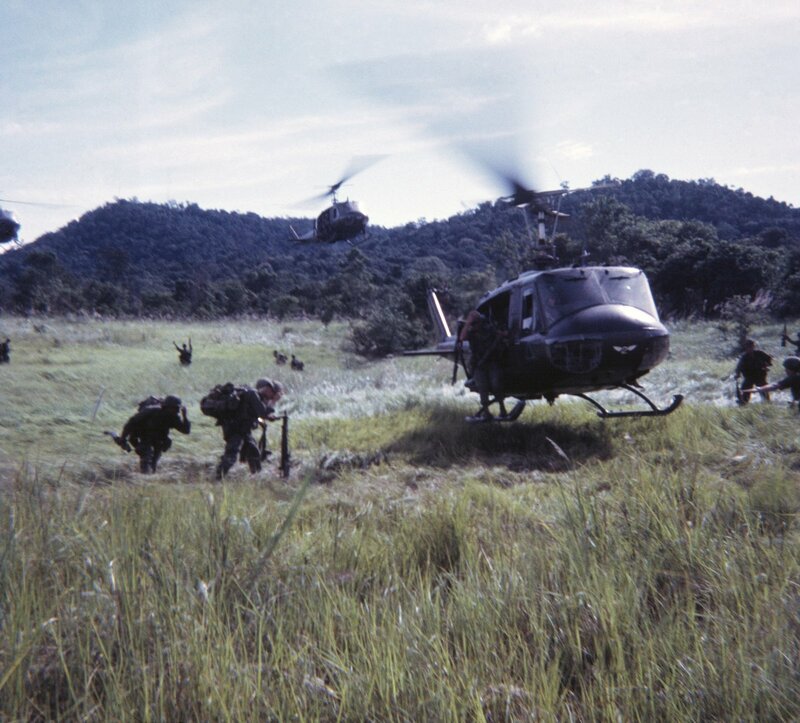 Intelligence reports indicated a build up of NVA forces in the hills to the west of Tuy Hoa and these forces had the capability of disrupting US Air Force operations. During 17-18 September, our battalion moved from LZ English to a staging area located at a Special Forces Camp west of Qui Nhon. 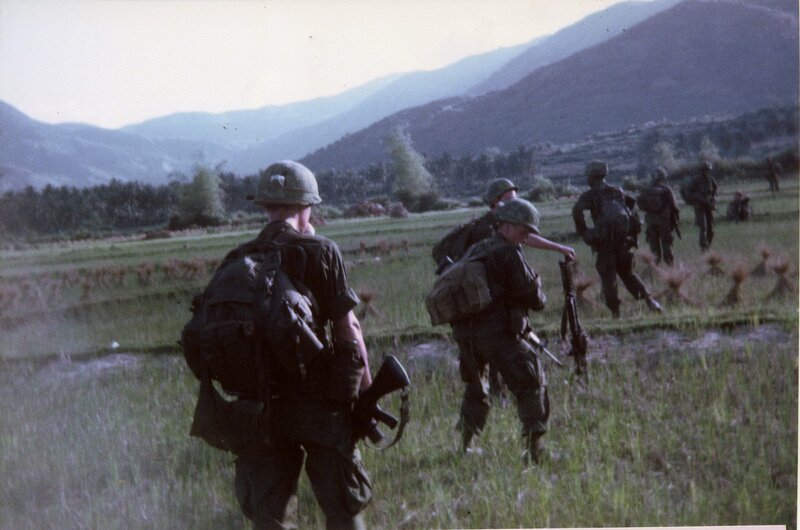 On 19 September, our battalion was placed under the operational control of the 173rd Airborne Brigade, and companies were combat assaulted into different landing zones in the rolling hills west of Tuy Hoa. We had some contacts, but the NVA threat seemed to fade away. On the light side, we captured a NVA Finance Officer who was lost until he stumbled into one of our positions. 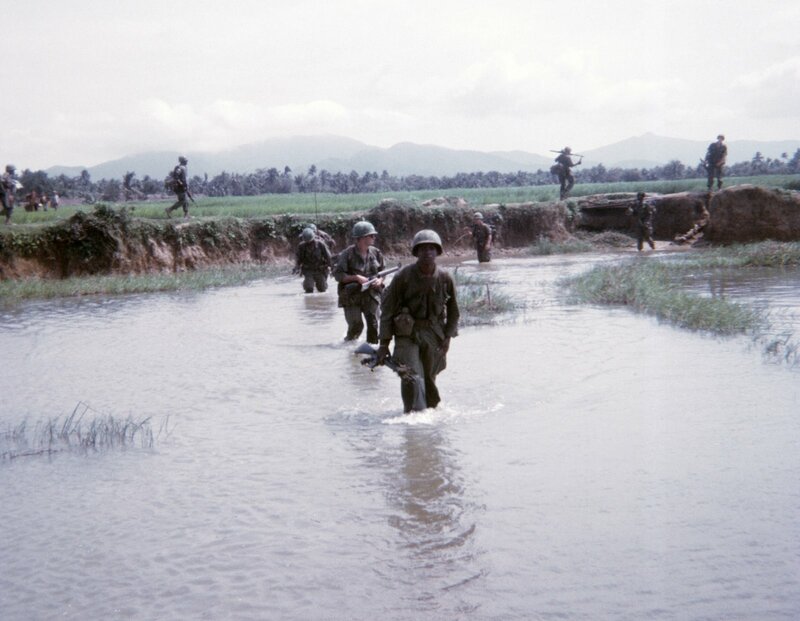 Our battalion returned to LZ English on 14 October, and we conducted combat operations in Bong Son until our deployment to Dak To. Thanks to Ralph Mercado for the above three photos.